Big changes coming to Samsung phones? We've already heard that Samsung is starting from scratch on the Galaxy S6 - aka "Project Zero" - but it seems the company's mid-life crisis might go even further. Not only will Samsung reinvent the Galaxy line, it's also going to introduce a completely new family of devices, reports SamMobile. The new lineup will have single letter names, like the Galaxy A, but be totally separate from everything Samsung's released so far. Part of this has to do with Samsung's recent disappointing financials, but it's also reportedly about pressing "reset" on the company's naming scheme. This report cites "reliable sources," but they didn't share any other details, so the rest is up in the air. 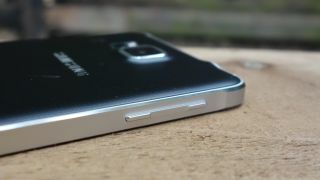 With Samsung's smartphone offerings seeming more and more eclipsed by the competition with every new rival, let's hope they revamp things soon.